Maybe Jean-Georges Vongerichten was looking for a challenge. That’s pretty much the only reason we could come up with to explain why a man who has more than a dozen restaurant concepts within his portfolio chose to use the word “steakhouse” in the name of his Washington venture. Nothing else makes sense. The fact that he even considered opening a restaurant in Washington shows that he knew we’ve evolved beyond the days when haute French and red-meat-by-the-pound were the only options for high end dining. Even so, we’ve got more than our fair share of places where steak is featured front and center. 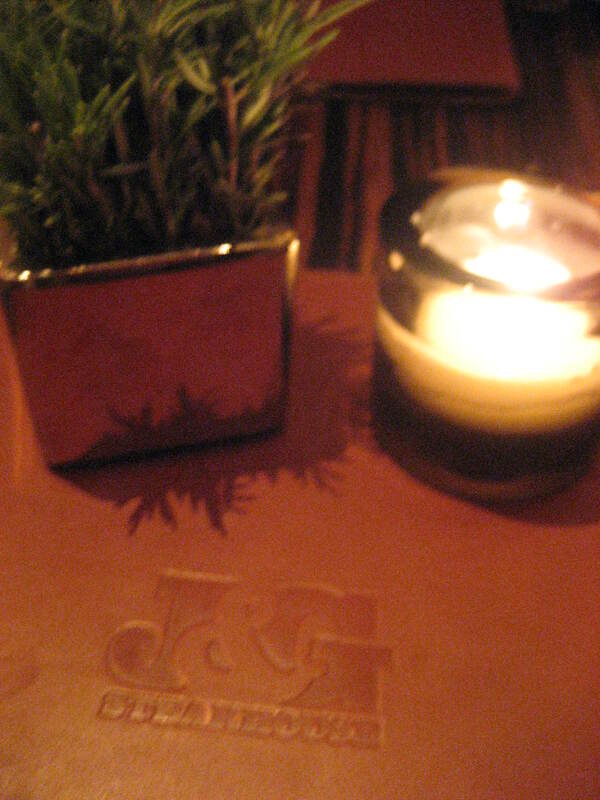 It could hardly come as a surprise that potential diners would assume a place called “J&G Steakhouse” was just part of the crowd. Whatever the rationale for the name, it relegated the restaurant to a lower tier of our “to-do” list for more than a year. But any regular reader of our Restaurant Week recommendation posts knows that we like to seek out high-value opportunities when making our RW reservations, and this time around J&G Steakhouse seemed to offer the best bang for the buck. At the very least, it would give us a chance to see what the newest steakhouse on the block brings to the table.